As with patients of every ethnicity, Middle Eastern and Mediterranean patients have a unique set of nasal characteristics. Most rhinoplasty patients of Middle Eastern/Mediterranean ethnic heritage wish to enhance their natural beauty while preserving their ethnic identity. When performing nose surgery on Middle Eastern and Mediterranean patients, the surgeon must take this into account and approach the procedure differently than he would with Caucasians, Asians and other ethnicities. Facial plastic surgeons specializing in ethnic rhinoplasty have special techniques that provide patients with the beautiful results they desire, without altering their ethnic identity. All of that being said, it is also possible to achieve a less-ethnic appearance, if that is what the patient is looking for. One of the features that differentiates Mediterranean/Middle Eastern noses from certain other ethnicities’ noses is a protruding nasal bridge, which is particularly apparent from the profile view. Oftentimes, patients with elevated dorsums also have drooping nasal tips, which can make the nose appear disproportionately long. Mediterranean/Middle Eastern patients also tend to have thick nasal skin, which not only can make the nose look bigger, but also presents rhinoplasty surgeons with unique surgical challenges; namely, refining the nasal tip is more difficult with thick skin. These patients also tend to have insufficient cartilage support. Poor cartilage support can result in a lack of definition in the nasal tip, as well as a weaker nasal base. These issues present their own set of surgical challenges when making nasal grafts. During rhinoplasty for Mediterranean/Middle Eastern patients, the surgeon often attempts to reduce the nasal hump, lift and alter the shape of the tip, narrow the nostrils and perform whatever other actions are necessary to enhance the nasal appearance and achieve harmony with other facial features, while preserving the patient’s Mediterranean/Middle Eastern look. Correcting a prominent nasal hump can be very complex, because a number of factors often contribute to the appearance of the hump. While lowering the dorsal bridge is a common goal when performing Middle Eastern/Mediterranean rhinoplasty, the surgeon must attempt to avoid making overly aggressive revisions. The goal in Middle Eastern/Mediterranean rhinoplasty patients should be to make the bridge appear straighter from the profile view and produce a subtle transition into the area around the nasal tip. In fact, some Middle Eastern/Mediterranean rhinoplasty patients wish to preserve some level of convexity in order to preserve this ethnic characteristic. Reducing the bridge height too much can lead to a nose that does not fit with the surrounding facial features. To correct the nasal tip and alter the shape of a drooping Middle Eastern/Mediterranean nose, the surgeon will likely attempt to create a more upturned appearance in the tip. This usually requires cartilage removal, scoring, morselizing (crushing), sculpting and/or grafting combined with internal suturing techniques using an endonasal approach. Suturing techniques allow the surgeon to rotate or narrow the tip, while cartilage grafts are used to achieve elevation. Any number of methods may be used to slim the tip and nostrils. Two of the most common are nostril and alar base reduction, which can be performed in both primary rhinoplasty as well as revision rhinoplasty, depending on the patient’s needs. Possible techniques may include wedge excision, the V-Y advancement technique, nasal sill excision and combined excisions. Ideally, the combination of techniques used by the surgeon during Middle Eastern/Mediterranean rhinoplasty will enhance the patient’s profile and lead to a more balanced, harmonious facial appearance. The objective of any cosmetic plastic surgery is to produce a result that is aesthetically pleasing, harmonious and symmetrical. With Middle Eastern/Mediterranean patients and other “ethnic” patients, this means that the surgeon must sharpen and add definition to their features in a way that fits their facial proportions and maintains their ethnic characteristics. 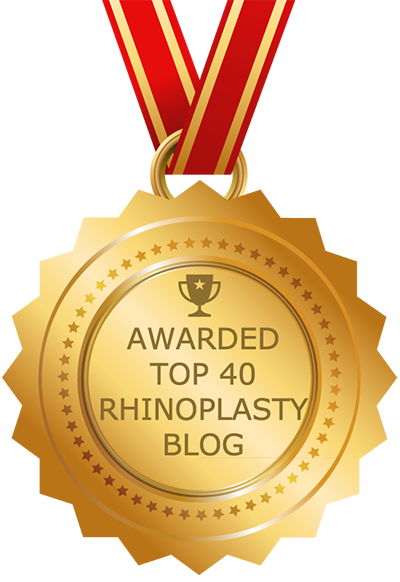 In other words, the goal outcome of Middle Eastern rhinoplasty should not be to achieve a Western appearance. Performing nose surgery on a Middle Eastern patient is not about altering the “normal” procedure and “balancing” it with Middle Eastern features. In reality the procedure is often different in every way. This is why it is so important that Middle Eastern/Mediterranean patients seek out a board-certified facial plastic surgeon whose specialty is ethnic rhinoplasty — and more specifically, Middle Eastern/Mediterranean nose surgery. Board-certified facial plastic surgeons possess advanced training that surpasses that of other surgeons. The surgeon you choose should also have extensive experience with a wide variety of techniques and technologies. When in doubt, ask for before and after photos and look for patients that resemble you. If you like the results, this is likely a good sign.